For the past few weeks, I’ve been hiding the fact that I am terrified about my half marathon that is less than a month away. Since I kicked my training into high gear after New Years, I have been really struggling to prepare myself, something that I thought would go smoothly since I’ve run a few halfs before. What I wasn’t prepared for is that running in the winter is DAMN HARD. It’s like running in wet sand mixed with evil snow men thrusting a snow blower in your face with minus forty winds. And while running outside on a sunny winter morning can be exhilarating, forcing myself to train through a polar vortex is quite another. Despite applying everything I learned so far from Stride Ahead and Corydon Physiotherapy, I was struggling to run 7 kilometres at the beginning of the month. This is terrible and dangerous for someone who is going to try to run 21 kilometres. My biggest issue was being out of breath and trying to cover my face to prevent windburn. Though experts suggest you should inhale through your nose, I often find myself relying on my mouth to breath. Covering my mouth in any way made it very difficult to breathe, so I found myself relying solely on Vaseline to protect my face and waiting for -20 runs or warmer. After playing around with some supplements to give me energy, which didn’t do much, I discovered why I was having so much trouble. I happened to have an old asthma inhaler from a bad cough a while back and decided to use it before a recent run. For the first time in a long time, I wasn’t struggling to breathe. I ran 12 kilometres and felt pretty good. I am not a person who regularly struggles with asthma, but turns out it is quite common for winter sports to induce asthma. However I will say that there are many factors that make long distance running in the winter harder than the summer, and some upcoming videos will be posted to the blog to explore why. Here are some links that I found helpful. If you struggle with breathing—even if it’s just exercise induced or cold weather triggered—you may benefit from seeing a doctor for asthma treatment options. Always visit a doctor before self-diagnosing. A week ago, I decided it was too cold to go for a run. A day ago I decided this cold wasn’t letting up and it was time to face the cold. Winnipeg is in the middle of a premature December cold snap that won’t quit. It’s overwhelming, it’s disheartening, it’s discouraging, and it’s getting old. The reality of running in Winterpeg is you’re going to have to deal with the cold. Sure, this cold this soon is awfully unwelcome. But dealing with this inexorable cold is what makes Manitobans tough, so let’s not hide inside. I’m speaking mostly for myself, as I have absolutely seen some bundled up joggers toughing the cold over the past few days. Running in the cold can be uncomfortable when not done right. Running in the extreme cold can be dangerous if not done right. Running Room’s Book on Running by John Stanton contains some great information about running all seasons. This link takes you to all the basics you need to know about running in really cold weather. Keep all extremities covered including ears, hands, wrists, ankles and neck. Exposed skin can get frostbite in a matter of minutes. Your respiratory area will stay warm from your breathing. Apply Bodyglide or body lubricant to any exposed skin to help protect it from the wind and drying effects of the cold. I learned this the hard way and often tell people about my “chapped face” experience last year. Bring cab fare, a cell phone, and ID. Accidents happen and the freezing cold is no time to be unprepared. Be aware of hypothermia especially on wet or windy days. Signs of hypothermia include slurred speech, clumsy fingers and poor coordination. At the first sign, get to a warm, dry place and seek medical attention. Run in small loops close to your starting point. If you find it is getting unbearable, you won’t be far away from shelter. Just when you think you’ve dressed for the weather, you go for a jaunt and wind up with a frozen forehead and eyelash-cicles. I learned the hard way. That’s right, not only do we officially have snow in Winnipeg, but the frigid temperatures have made an appearance as well. I got a good taste of what it takes to run in Winterpeg this past Friday when I failed to check the weather before venturing outside. I had my layers, my mitts, a hat, and even a neck warmer on. But I certainly wasn’t prepared for how freezing my two inches of bare forehead between my hat and eyes would get in the snowy, windy, evening. It was positively unbearable! In that moment, I would have given anything to have a balaclava permanently sewed to my head. 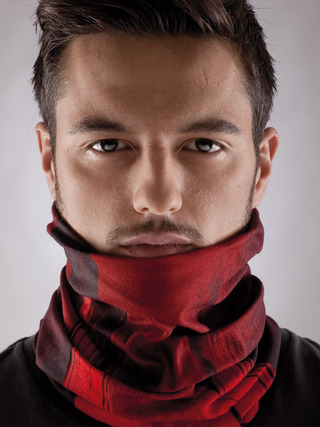 This multi-functional buff is made of soft, breathable microfiber polyester to wick moisture and provide thermal protection from the cold and wind. You can pull them up over your head to cover your forehead and ears or use it as a neck warmer. www.buffusa.com demonstrates the 13 different ways you can wear your buff including neckerchief, foulard, hood, do rag and face mask. 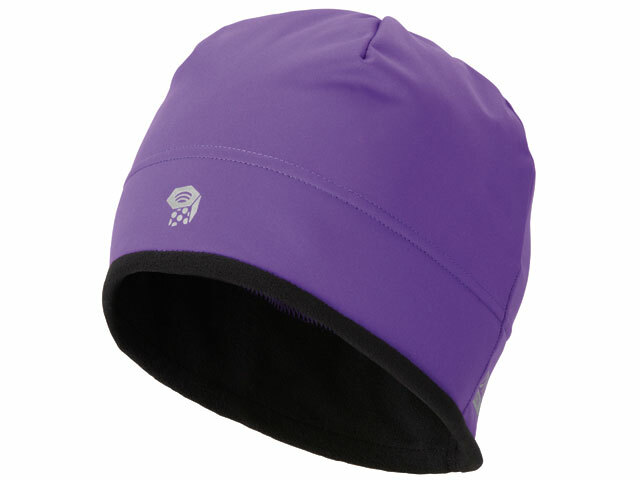 This warmer reacts with sweat lower to lower the temperature of the material. 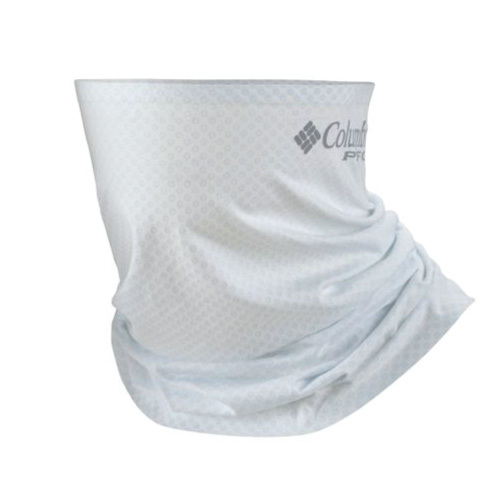 www.columbia.com says the built-in UPF 50 seals out UV rays for supreme protection from the sun. The one size fits all model shapes to your body. These masks cover the entire face minus an eye slit. They are made from Under Armour’s ColdGear material that claims to be quick-drying and ultra-warm. 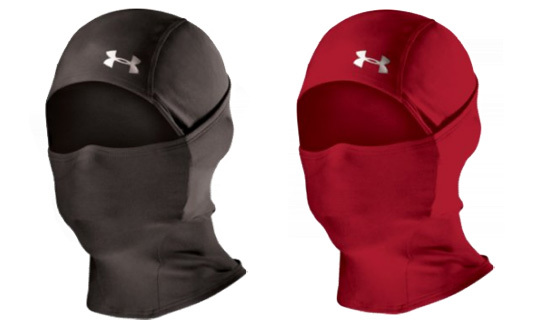 According to www.besportier.com, ColdGear is Under Armour’s patented technology designed for temperatures below 55 degrees F. The fabric is double-sided and circulates body heat. It is the sporty balaclava you never thought you’d wish for…until you’ve tried running in Winterpeg. Ken Friesen from Stride Ahead Sports shows us the basics of choosing socks for the cold.